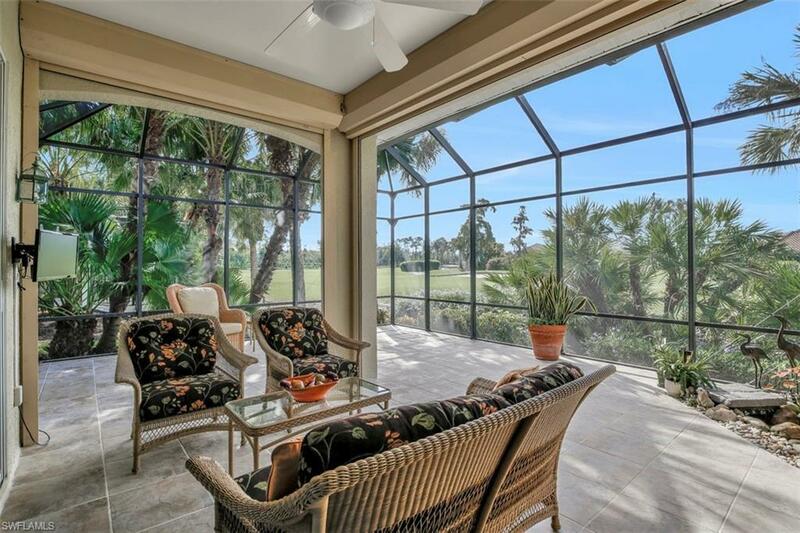 Golf membership valued at $35,000 is included with this exquisite two bedroom villa with den and expanded lanai with Koi pond. Southwestern exposure with breathtaking views of the 17th Fairway and lake fountain is enhanced by spectacular sunsets. Eat-in kitchen with granite counter tops and stainless steel appliances opens to a dining room with floor to ceiling custom mirror and a great room. Split bedroom plan offers privacy! The en-suite master bedroom features a walk-in closet and upgraded bath with dual sinks. 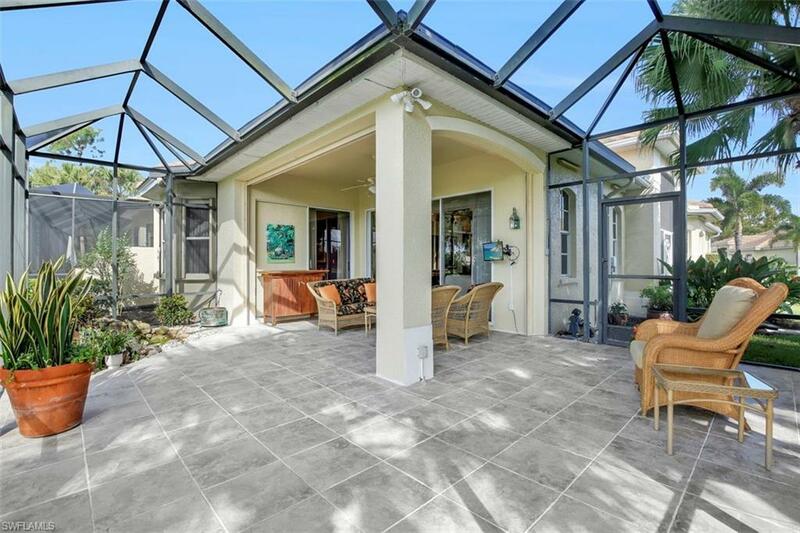 Enhancements include wood and tile floors, crown molding, a new roof and driveway pavers. 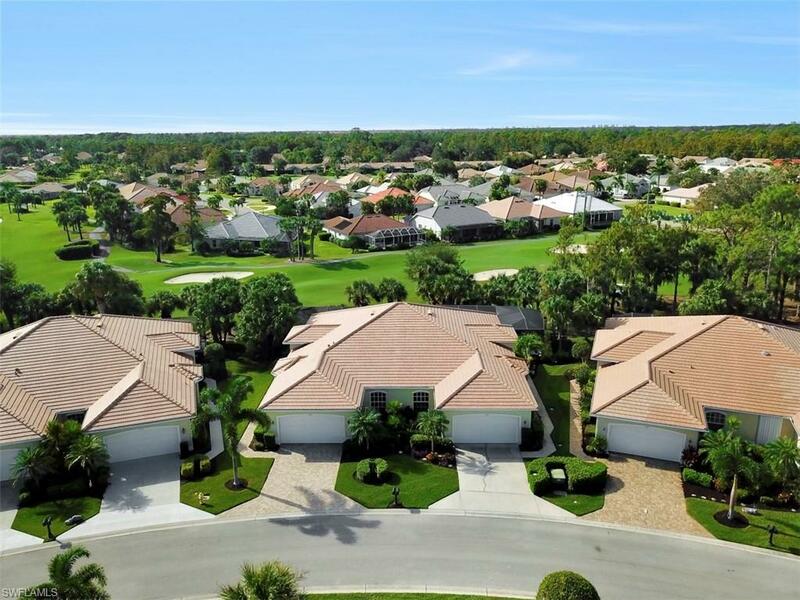 Convenient to shopping, beaches, dining, entertainment and RSW airport. 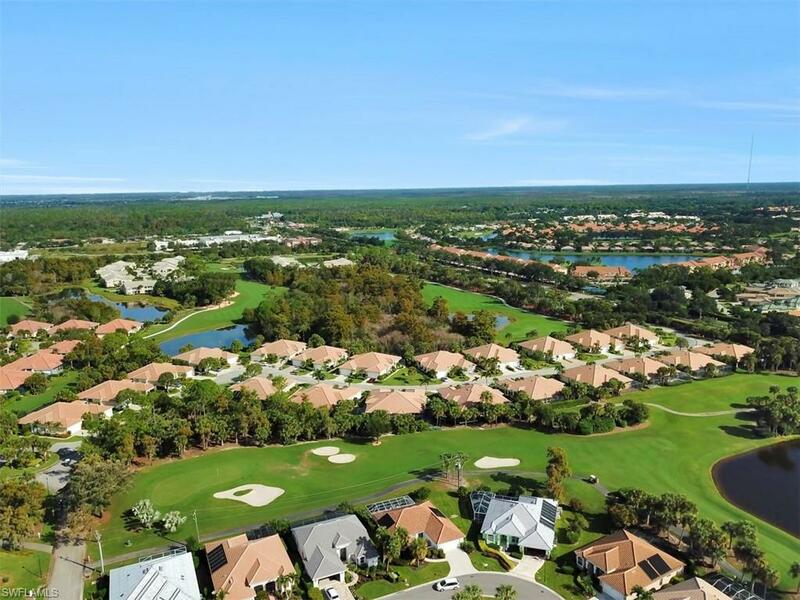 Enjoy all a private golf country club has to offer including large community swimming pool with food & beverage service, activity center, fitness center, clubhouse with beautiful dining room and grill room, poolside caf, tennis and pickleball courts and much more!